Become a member at one of the finest golf facilities in your area. Enjoy the lifestyle of an exclusive family-oriented Private Country Club at Tuscawilla. The golf course features Champion Bermuda greens. Stately Live Oak trees draped in Spanish moss surround the course, the gently rolling terrain enhances the beauty of Tuscawilla. Tuscawilla features six award-winning lighted Har-Tru clay tennis courts. The Aquatics Center boasts a Jr. Olympic size swimming pool and we offer many monthly social activities for adults and children. The Clubhouse features a well-stocked Golf and Tennis Pro Shop, a fitness center and The Champion’s Grill, an on-site restaurant, which offers breakfast, lunch, dinner and special occasions 6 days a week. 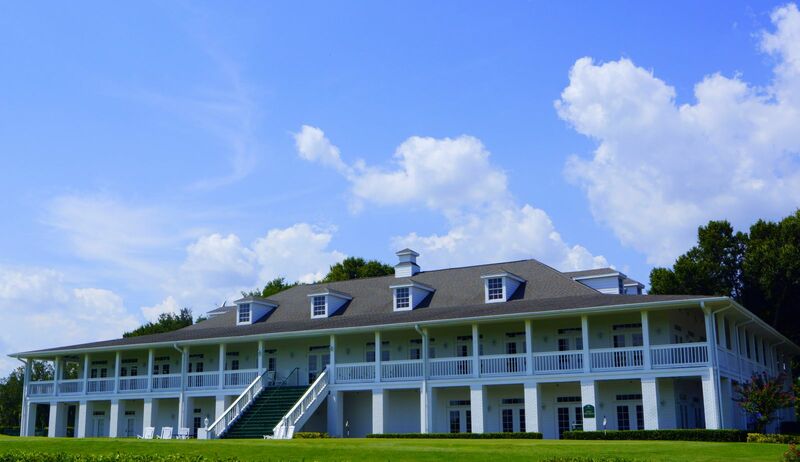 Our southern plantation-style building, with wrap-around veranda, is perfect for weddings, tournaments, private parties or providing a good scenic view for some post-round beverages.